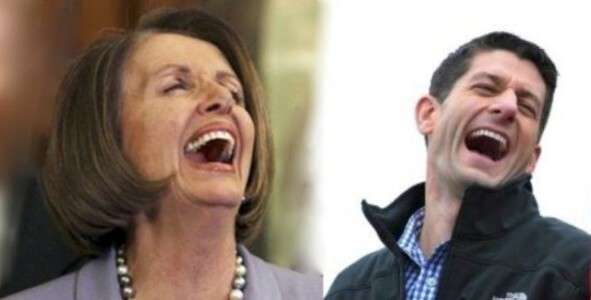 The Paul Ryan-Nancy Pelosi Uniparty easily passed the record $1.3 trillion omnibus bill on Thursday. The final vote was 256 to 167. A majority of Democrats helped Paul Ryan pass the bill. The bill funds all of the Democrat pet projects and spends less than .1% on the border security barriers and no wall. 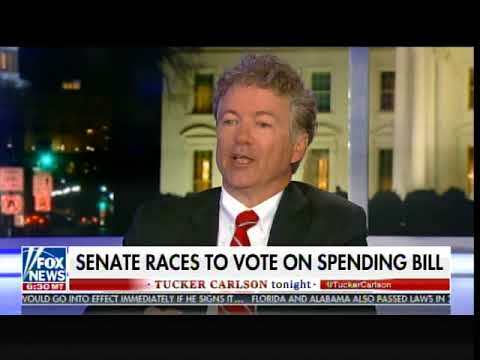 Senator Rand Paul went on Tucker Carlson Tonight to discuss the Paul Ryan’s omnibus. Senator Rand Paul: I’m flipping through the pages today reading the bill. I find out there is money for border security… in Tunisia and Jordan! We have border security money in the Middle East but not border security money in the US.